The parish church of St Mary's was filled when the village joined together to commemorate Remembrance Sunday. 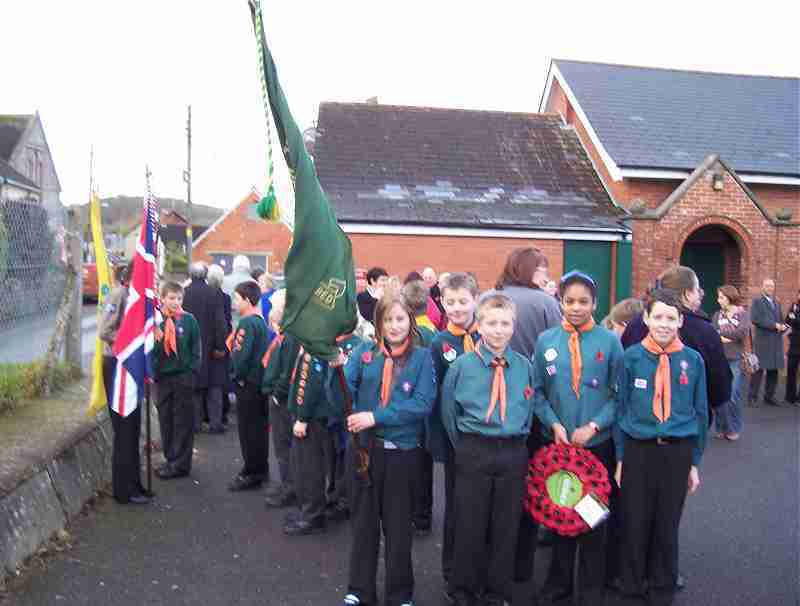 Led by the church choir and uniformed youth groups and villagers walked from the Parish Hall to the church where the service was conducted by Reader David Palmer. Lessons were read by AVM Donald Attlee and David Bawler, Hon Poppy Appeal Organiser with the poem 'In Flanders Field' read by Brownie, Cheyenne Jordan. The choir sang the anthem "We Will Remember Them"